While this tartan pair is still my favorite, I've come across a few more that I'm trying to convince myself that I can't live without. They're not really my taste, but interesting nonetheless. 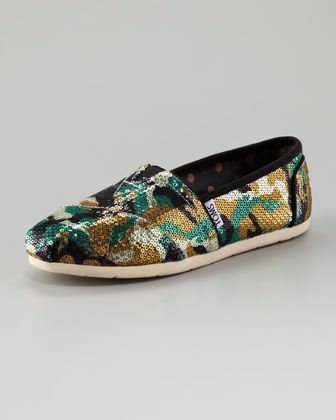 For $900.00, you, too, can have your own pair of Toms knock-offs by Chanel! 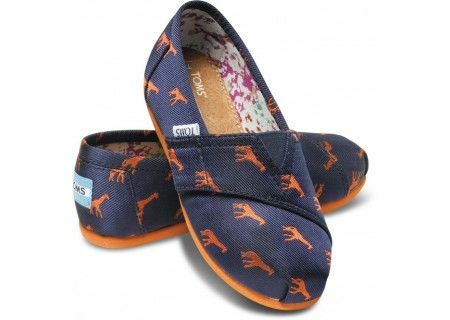 Toms Shoes collaborated with Rachel Ashwell of Shabby Chic fame and came up with this adorable design. Unfortunately, it was a limited edition and they sold out almost immediately. This was back in February, 2013. I was dismayed that I hadn't heard about them at the time. There they are. Just what I wanted. I was so excited. I had found them. But wait! 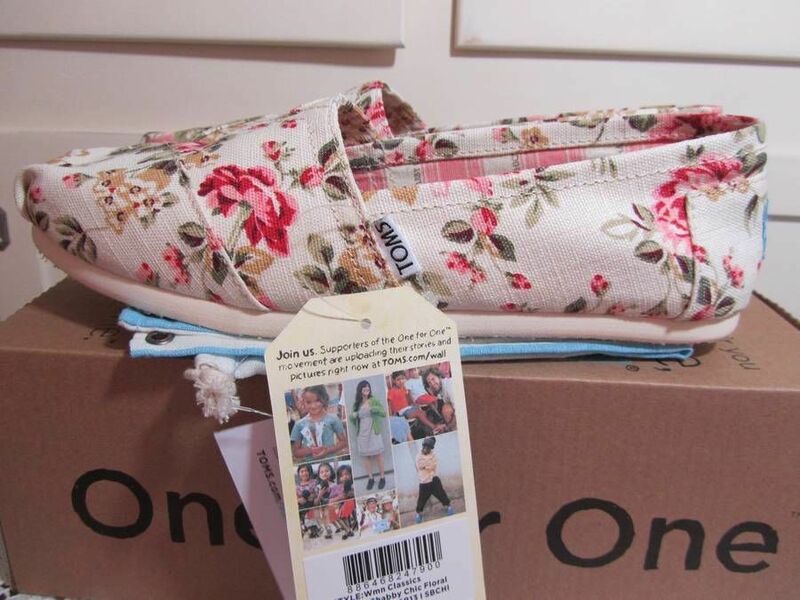 Remember when I said above that one of the attractive things about Toms was their inexpensive price tag, usually between $45.00 and $55.00? Well, this eBay seller has set the starting bid at $189.00. Price gouger! Blood sucker! Greedy rapscallion! It's unconscionable…. How can they live with themselves? 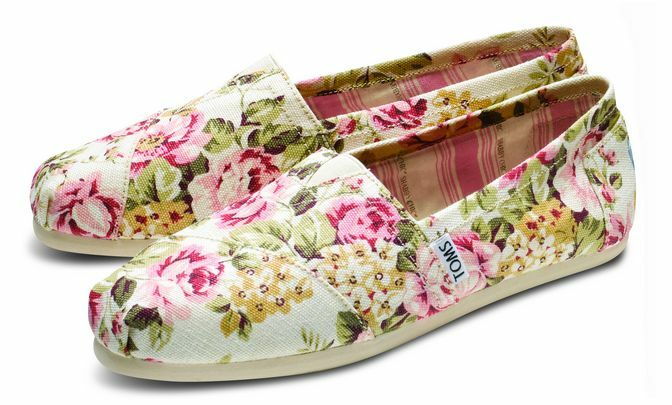 So unless I happen to run across a pair of these Shabby Chic Toms at an estate sale (highly unlikely), I guess I'll just have to dream on about them and their stellar cuteness. In the meantime, if you stumble upon a pair in size 7.5, let me know ASAP. I'll write a feature post about you and how you saved Miss Tartan Terrace from years of despair about the Toms that got away. So cute! Love the style, but never bought any. Gotta check them out. I will definitely keep my eyes open. I'm usually good at finding things. Enjoy the rest of the weekend!!!! Oh, I have 4 pair of the burlap Toms. Can't get enough of them! I have a black pair and love them! I wear the same size shoe that you do....I'll look for TWO pair! heehee! Hugs! My two girls wore them constantly last summer. My oldest had a black sequined pair and my youngest had a tiny pair with polka-dots. They were favorites for sure. I saw a pair that I've been loving with black and white stripes recently. Did you have any luck with the roses at Home Depot? I haven't planted the two I found in the ground yet, but they sure are blooming away. I cute five stems yesterday and put them in a vase. They're completely gorgeous. I am a huge sucker for an awesome pair of Toms too. 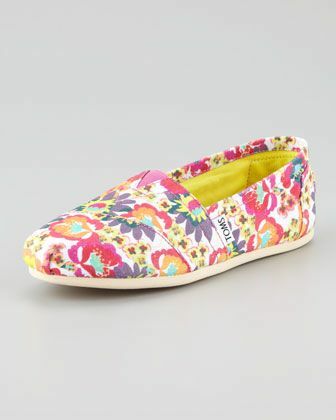 I would not pay $900 dollars for a pair of knock off Toms though, that is ridiculous. They are not even that impressive either. I will keep an eye out for your shoe. Somehow, I missed seeing this post and am just now catching up! 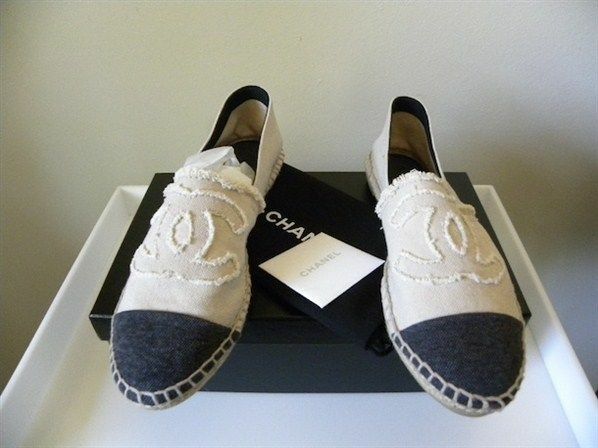 I love the Chanel shoes and will certainly be buying several when my ship comes in. Until then, I will happily settle for the madras or the tartan! And those nasty price gougers- hopefully, they will not sell many! Ref your missing TOMS photos from your previous post, the links to the photos have been broken. You can repair them by going back to the original post and repairing the links. Easy peasy. 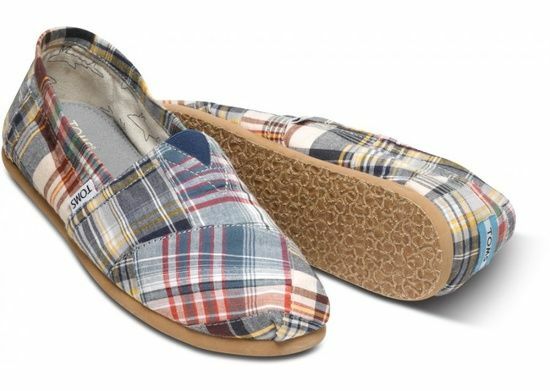 I love TOMS, too, but find them to be pretty pricey even at the retail level. I esp like the madras pair. Please leave them to me in your will and thank you in advance. I love fashionable shoes and I decided to collect different kinds of shoes. Anyway, I like all the shoes shared here because they are cool and beautiful. I will ask my sister to help me to find this type of shoes. Thanks!